Inspired by mid-century modern design, the Serena Swivel Chair by Eichholtz combines retro shaping with sophisticated lines. This designer chair features a deep seat and plush backrest that tilts back on the base for maximum comfort. Upholstered in a choice of Clarck grey or Panama natural, the natural linen look fabric gives the overall design a subtle texture and warmth. 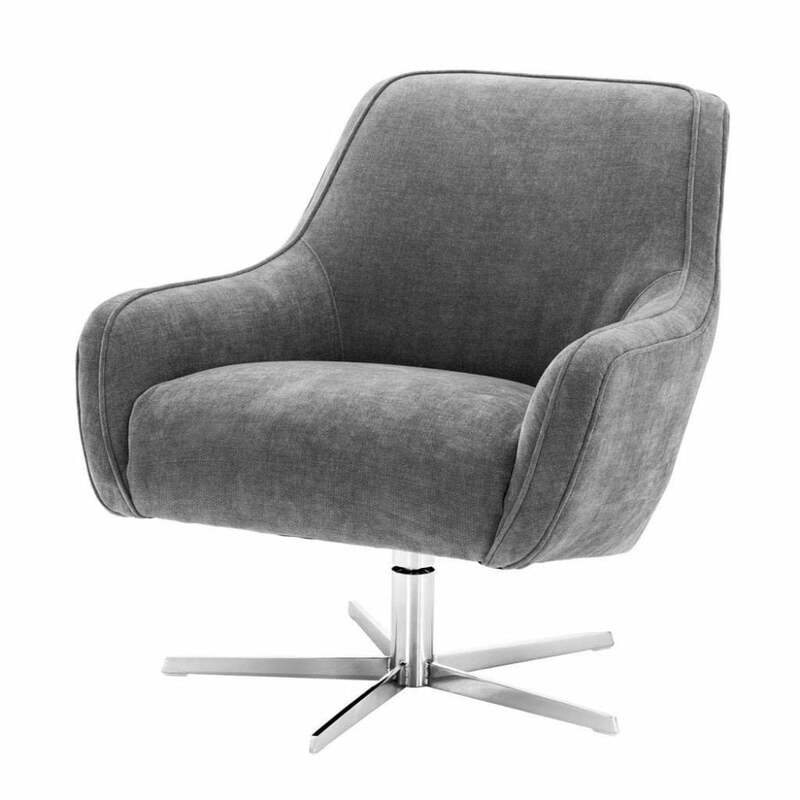 Crafted with a polished nickel swivel base, the Serene Chair will make an elegant addition to a contemporary living room. Combine with a sumptuous leather sofa and metallic accessories for an eclectic scheme that exudes New York loft style. Get in touch with our team for more information and advice.